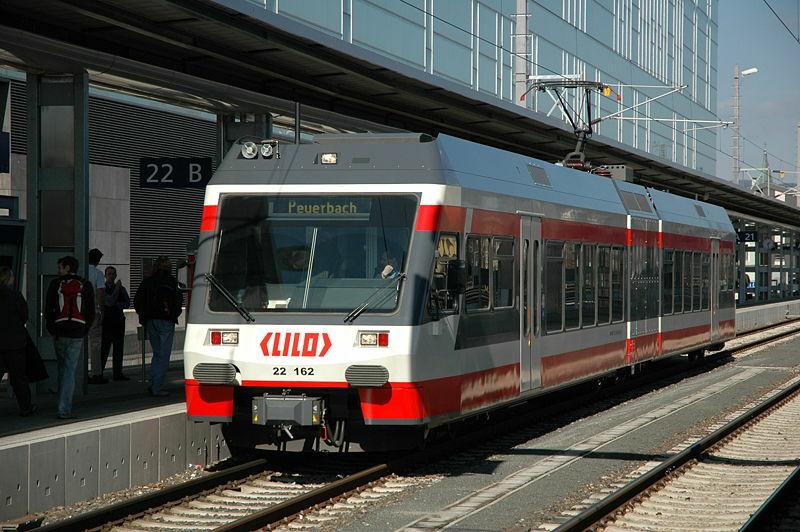 Linz after the opening of the tram extension to Trauner Kreuzung on 26 Feb. 2016 and a further extension to Schloss Traun on 10 Sept. 2016. 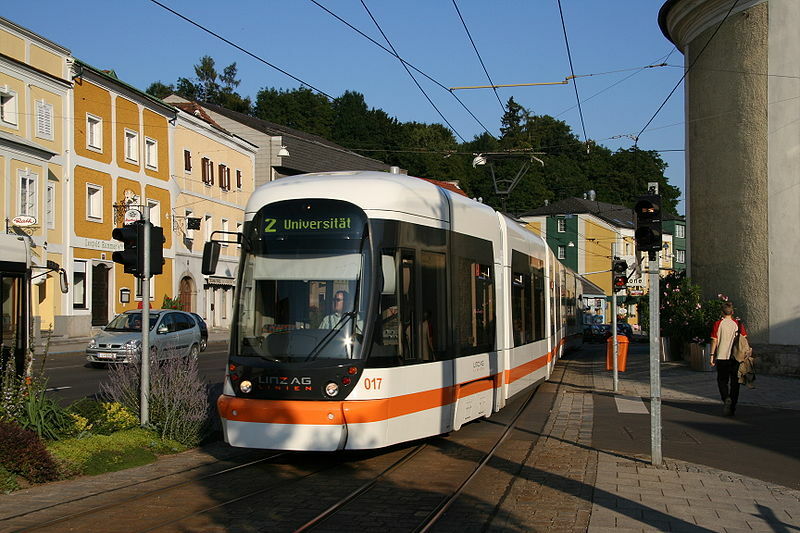 The Pöstlingbergbahn was regauged to 900 mm in 2008-2009 and the trams running on it share city tram tracks between Hauptplatz and Urfahr. 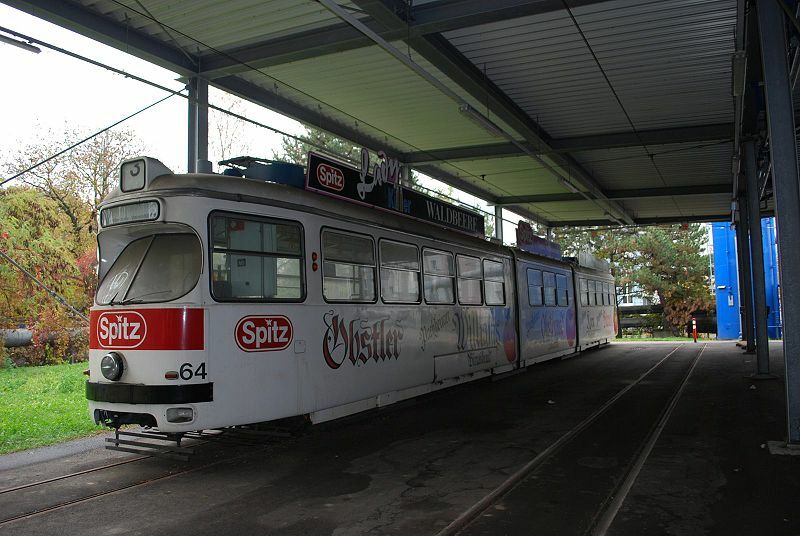 Pöstlingbergbahn: 29 May 1898 - today. 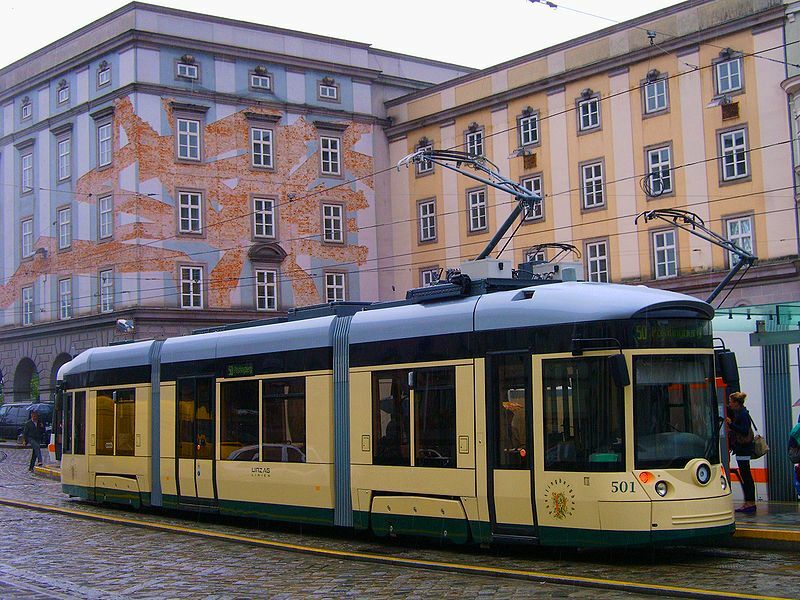 Pulling, N. "Systems Factfile No.74: Linz, Austria" Tramways & Urban Transit, Nov. 2013 (76: 911), p.476-479. Russell, M. "110 years of unblemished service [The Pöstlingbergbahn]" Tramways & Urban Transit, June 2008 (71: 846), p.244-245. Wansbeek, C.J. 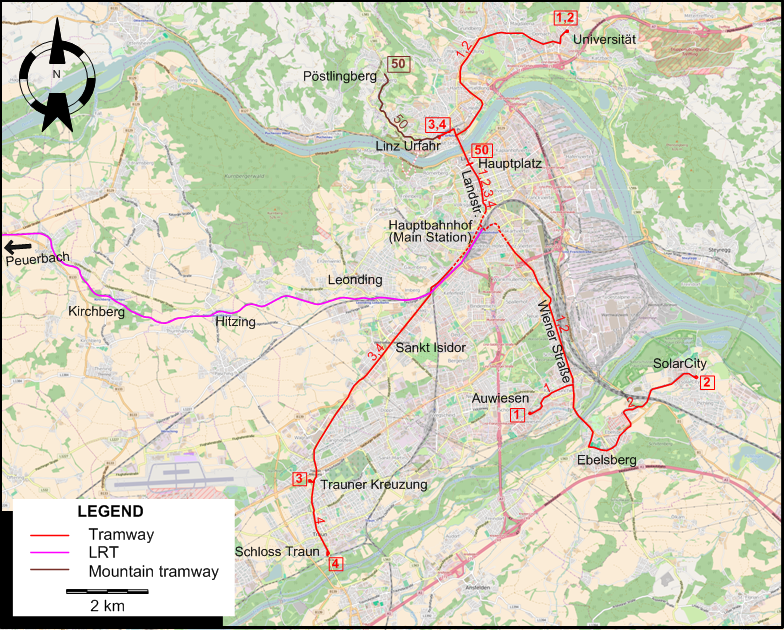 "Linz: Narrow gauge, broad vision", Tramways & Urban Transit, May 2002 (64: 773), p.174-179.